Apple devices come with the Safari browser by default, but it may not be for everyone. If you want to delete Safari, this blog post is for you. Now if you ever tried uninstalling Safari from your Apple device, you may agree that it is a little bit more tricky than it seems. Here’s why and what you can do about that. When you turn your brand-new iPhone, iPad, or Mac for the first time, you find a bunch of pre-installed apps that are supposed to be helpful. And some of them (e.g., Camera, Clock, Calendar) actually are. But, to be honest – how many of you often open Stocks, Wallet or Watch if you don’t even own an Apple watch? Or, how often do you use PhotoBooth and play Chess on your Mac? The same goes for the Safari browser – it’s there by default, but it doesn’t mean you want to use it for your everyday internet surfing. Plus, there are many private browsers out there that you light like even more. So what you do with all those applications you know you will never use? The answer is simple as that – you delete them! But if you already have tried to tap and hold Safari’s icon as you normally do when you want to delete a certain app from your device, you may have noticed that the app won’t jiggle or wiggle and is impossible to delete. At this point, many users lose their patience and simply move the app to a separate folder (named “Other”, “Stuff”, “Junk”, etc.) together with other built-in apps they don’t need. 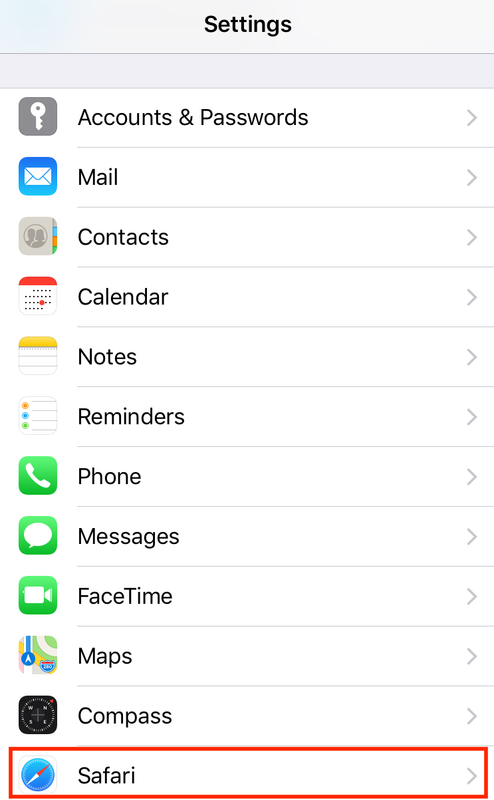 The good news is that Apple now allows deleting most of its native apps. Bad news – Safari is among those few that you cannot remove. Good news again – you can still turn it off and hide the browser you don’t need from your home screen. Below you will find a step-by-step guide how to do that. 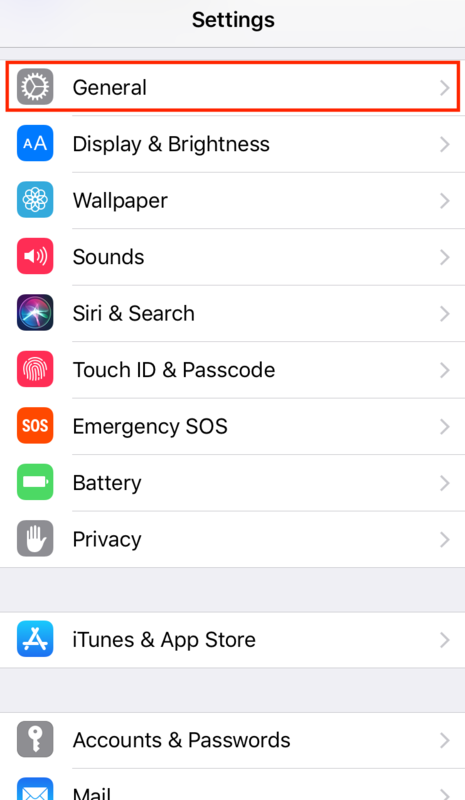 As previously noted, you cannot delete Safari from your device because it is deeply integrated into iOS, but you can easily remove it from your home screen. However, it should be pointed out that removing the icon doesn’t mean you delete the actual contents, e.g., your browsing data, logins, etc. 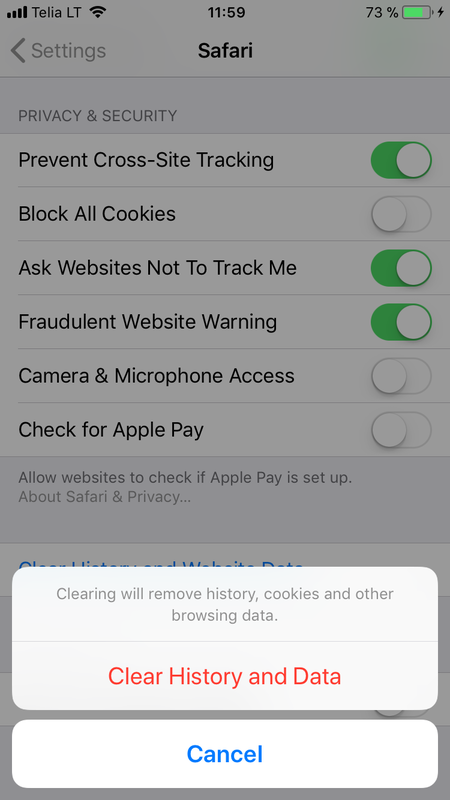 So before deleting Safari, you may also want to do some clean-up. 1. From your main screen, choose “Settings” and then tap “Safari”. 2. Scroll down and click on “Clear History and Website Data”. 3. 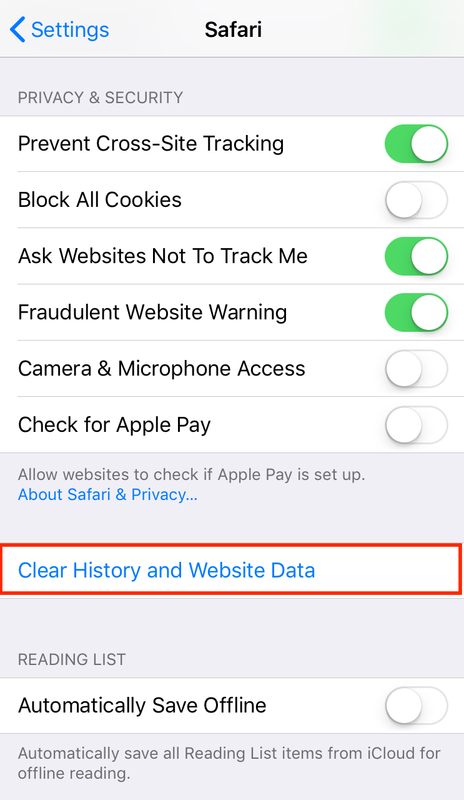 Once again, tap “Clear History and Website Data” to confirm your choice. 1. Go back to your “Settings” and tap “General”. 2. Click to enable “Restrictions”. 3. After entering your four-digit passcode, you will see a list of all active restrictions. Left-slide Safari and that’s it – the browser is no longer active. 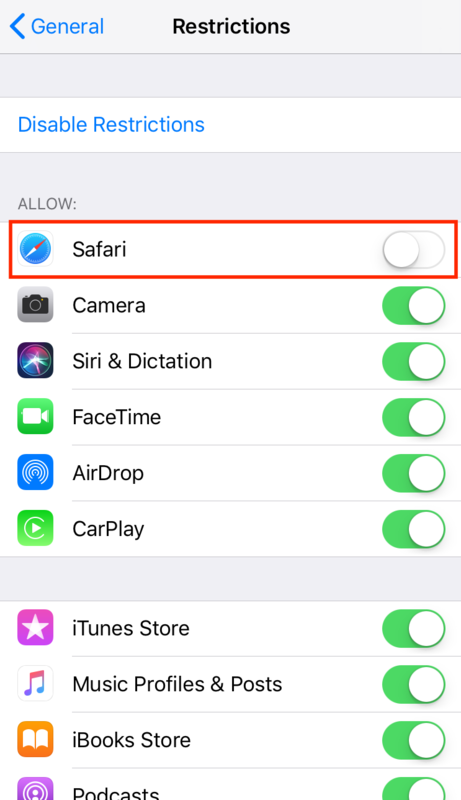 Once you are finished with this procedure, you will no longer see the Safari icon on your home screen and won’t be able to use it. 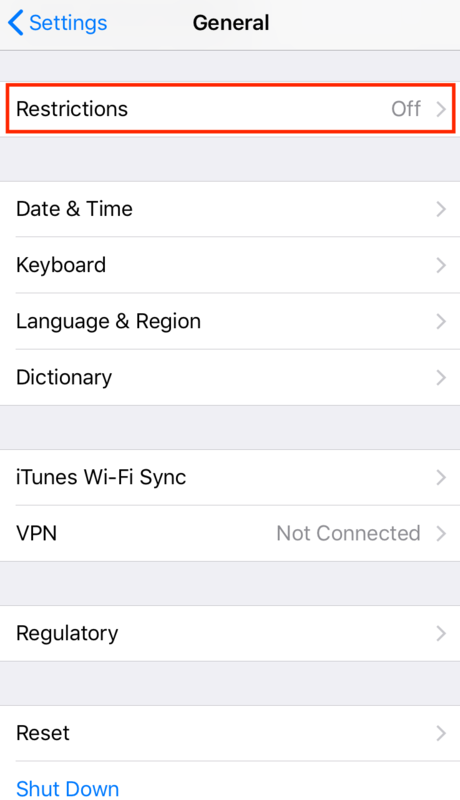 But if you ever change your mind, you can bring it back anytime by going to Settings->General->Restrictions. It is more complicated to remove Safari from Mac than from your iPhone. So why can’t you simply drag the Safari icon to Trash and forget about it? It is all because of the System Integrity Protection (SIP), a security feature Apple has implemented to ensure the viability of its operating system. Safari is one of those embedded applications that can’t be modified or removed – this is how Apple prevents inexperienced users from accidentally breaking the OS. If you really, REALLY want to remove Safari from Mac, there actually is a way to make it happen. It can be done by disabling System Integrity Protection through Terminal or by using third-party apps, the so-called ‘Mac cleaners.’ However, if you’re not a computer whizz and making modifications via Terminal is somewhat out of your comfort zone, don’t do it. Remember that removing embedded applications puts you at risk of damaging the operating system, and your Mac may end up functioning not the way it used to. So ask yourself whether those few megabytes of saved space are worth it. Maybe simply removing Safari from the Dock and replacing it with another browser is enough? Looking for more online privacy and security tips? Subscribe to our monthly blog newsletter below!